Do you know what it is? 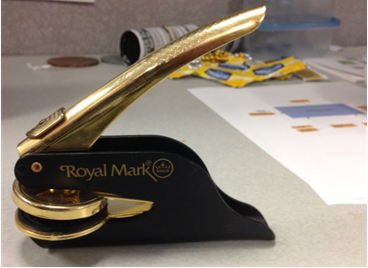 It’s a Royal Mark page embosser; a meaty and well built device that I used for many years until the onslaught of modernity made it obsolete. Before the advent of e-books and safaribooksonline.com, I used to buy lots of “real” technical books. 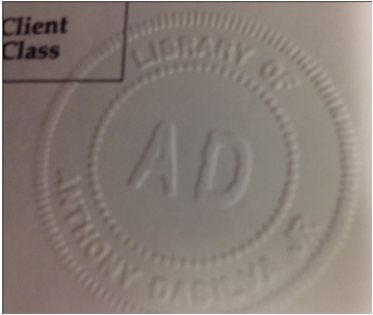 I would stamp them with my trusty Royal Mark embosser and stick them in my bookcase as soon as they arrived. But alas, since I don’t buy many dead-tree books anymore, I haven’t used my lovely Royal Marker in decades. What gadgets or tools did you use heavily in the past, but have been obsoleted by newer technology? If you’re young enough, probably none; but eventually you will. reminds me of the joke about when my kid is old enough to watch “The Terminator” I will have to describe for him what a phonebook is and what it was used for, but I won’t have to tell him about killer timetravelling robot assassins. The absolute best phone book movie ever is Steve Martin’s “The Jerk”. Have your son watch that one before Terminator.